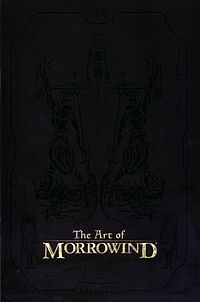 The Art of Morrowind is a small booklet which came with the Collector's Edition of TES III: Morrowind. It was published by ZeniMax Media Company in 2002, and contains unique concept art and pre-release images of the game. A scan of the booklet can be viewed at The Imperial Library.